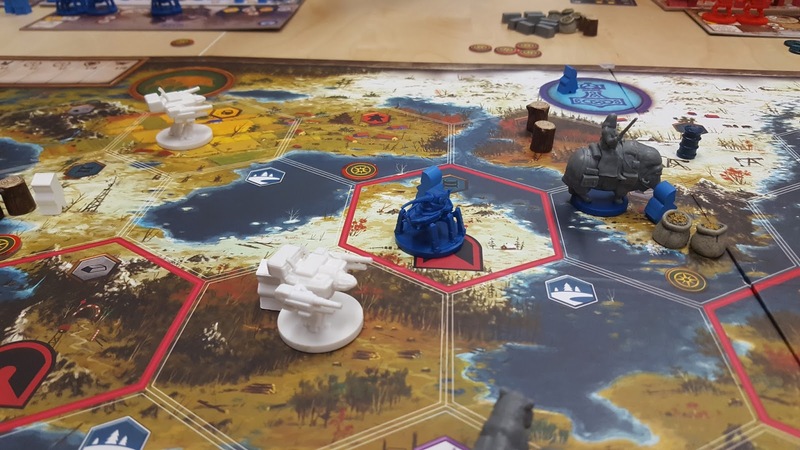 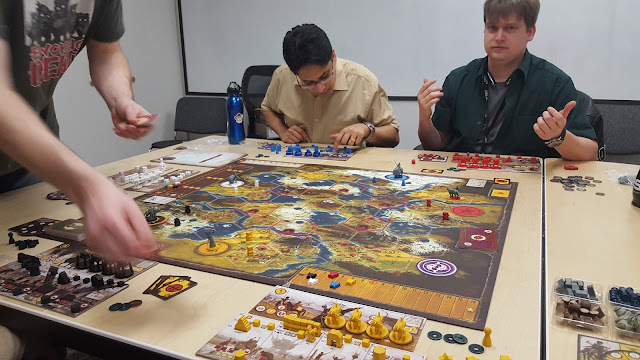 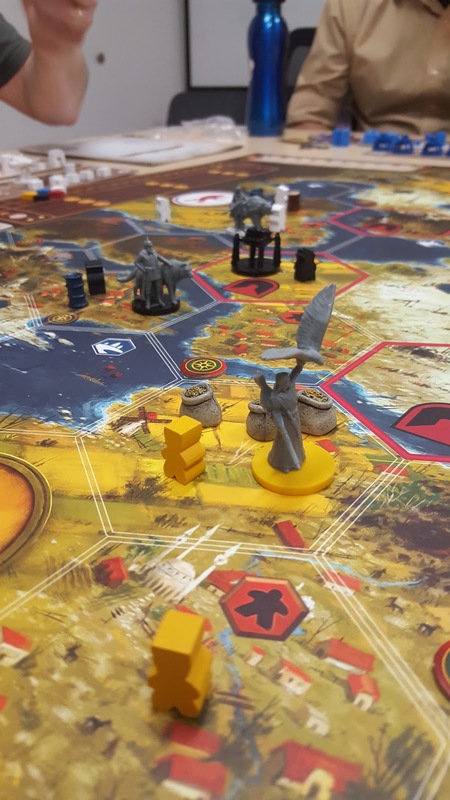 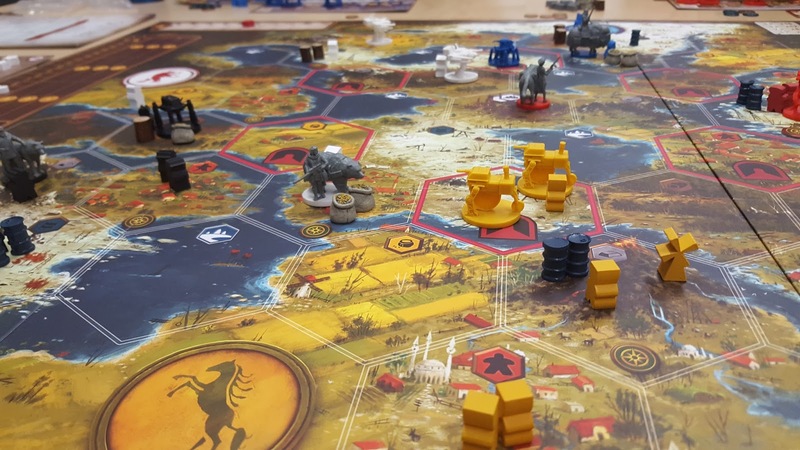 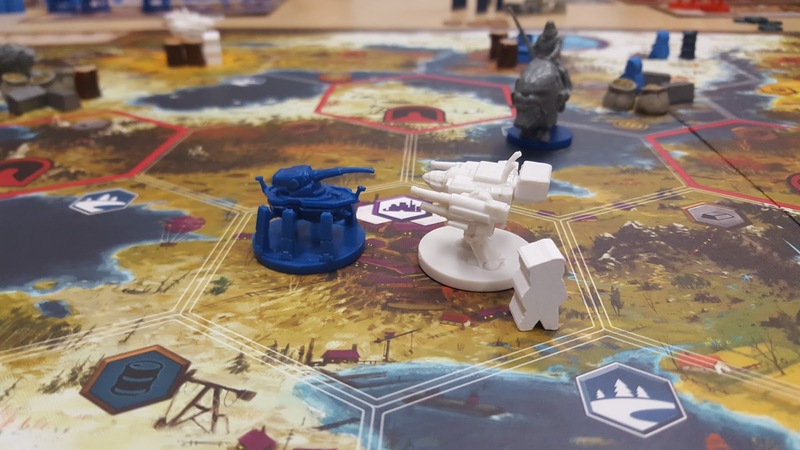 On Tuesday night I got together with four friends and played my second game of Scythe, a great resource management game (with some fighting) with awesome setting. It was a good time but the two most experienced players were easily in the lead while me and two others who were having their first game did not do so well. 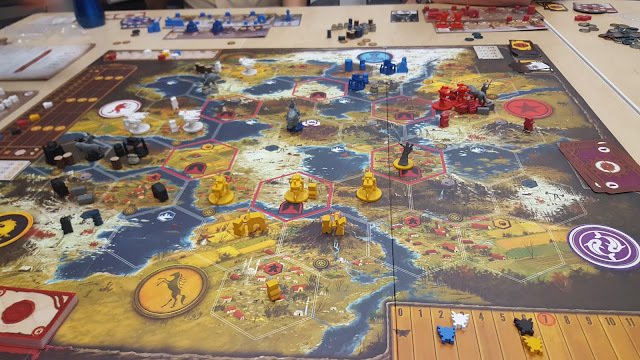 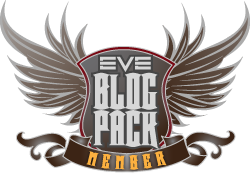 I did better than my first game for sure, but underestimated how quickly the game would end and left some VPs unclaimed as a result. 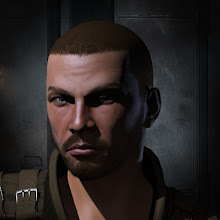 Oh well, next time!